In the movie How Stella Got Her Groove Back, Stella a successful, 40-year-old stock broker raising her son and niece, is talked into a trip to Jamaica by her friend Delilah. In Jamaica she meets William Shakespeare, 20 years her junior and is caught up in a steamy romance. During which she examines her life and tries to strike a balance between her need for romance and her life as a mother and executive. Israel has been like Stella. Israel was going through a crises. Trying to please the US and Europeans with concession after concession and getting nothing in return. The disaster of the Second Lebanese War of 2006 left her vulnerable, her enemies gathering like wolves for the slaughter. Now that has changed. Today Israel is back to her old self. She is stronger, better equipped to handle what the world throws at her. And her enemies are worried. Yes, it’s true. He noted, “Israel has begun to restore its deterrence” in the Arab world. “Hamas miscalculated,” he added. They had thought Israel would not attack, but would merely accede to tougher Hamas demands for an improved “Tahdiya,” their version of a temporary calm. This is perhaps one of the more optimistic assessments I have heard from Arab colleagues recently. There is supporting documentation. Hizbullah’s immediate public denial yesterday of the Katusha rocket attack from Southern Lebanon against Israel’s North and the reports on Lebanese TV of convoys of Lebanese (read: Hizbullah) vehicles moving north in expectation of a major Israeli reprisal strengthens this sense. It’s also notable that Al Jazeera’s reportage yesterday avoided interviewing ordinary Gazans. Arab sources in Gaza confided that the public anger is not directed at Israel any more than it is at Hamas. Al Jazeera, doing a superb job as PR agents for Iran’s proxies, likely wanted to avoid risking those types of reactions from the battlefield. The source also said that Hamas is “doing very bad things” to Fatah activists in Gaza both as revenge against claims that Fatah leadership provided intelligence to Israel, and as a warning to Fatah to avoid the temptation of being convinced by Egypt, the US and the West that they reassert control in Gaza. 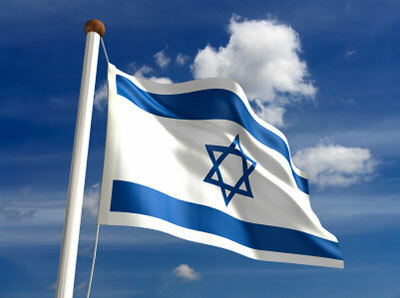 Yes, Israel has gotten their groove back! Gone are the days of concession after concession without anything in return. Gone are the days of humiliation at the hands of her enemies, and gone is the idea of the Saudi Peace Plan. A plan by Saudi Arabia to destroy the Jewish Nation. There will be no more concessions on Israel’s part. Jerusalem will be taken off the negotiating table forever, Hamas and Hizbollah are scared of her might. The Jews haven’t gone crazy. They are remembering that they are the Lions of Judea! That they are God’s Warriors! That they are not, and never will again be Ghetto Jews! Today Israel got her groove back. Jews and their supporters all over the world are walking taller, with a pride in their step. And it feels damn good!